At Tooth Dental, we believe that prevention is better than cure. We recommend that a custom fitted mouthguard should be worn whenever you are playing a contact sport. Mouthguards have been shown to reduce trauma to the teeth, jaw bones, jaw joints and soft tissues, as well as reducing the likelihood of concussion. To have a custom fitted mouthguard made, an impression is taken of your teeth. The mouthguard is then moulded to the cast of your mouth for an accurate fit. It is recommended that growing kids get a new mouthguard every 12 months, or sooner if the old one no longer fits comfortably. 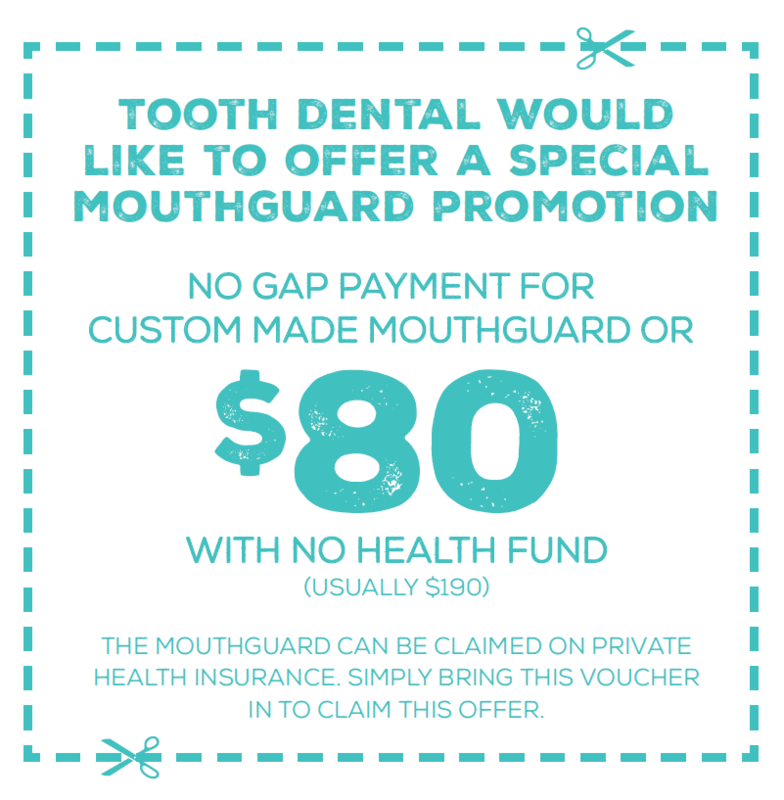 If you have private health insurance with Dental extras, you should receive a benefit for a mouthguard. 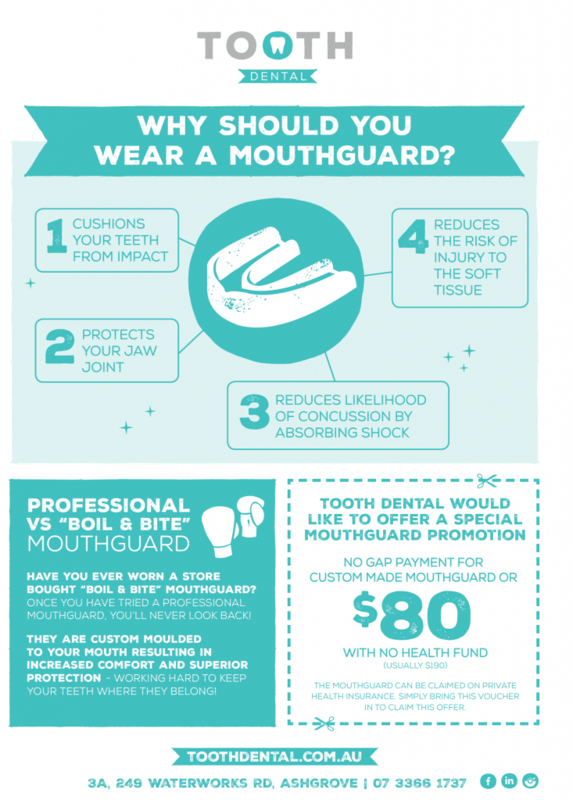 If you would like to discuss mouthguards, please contact our friendly staff on (07) 3366 1737.